Mike Richardson is a busy man. When he's not founding publishers like Dark Horse or writing books like 47 Ronin or Star Wars: Crimson Empire, he's busy working on other stuff. 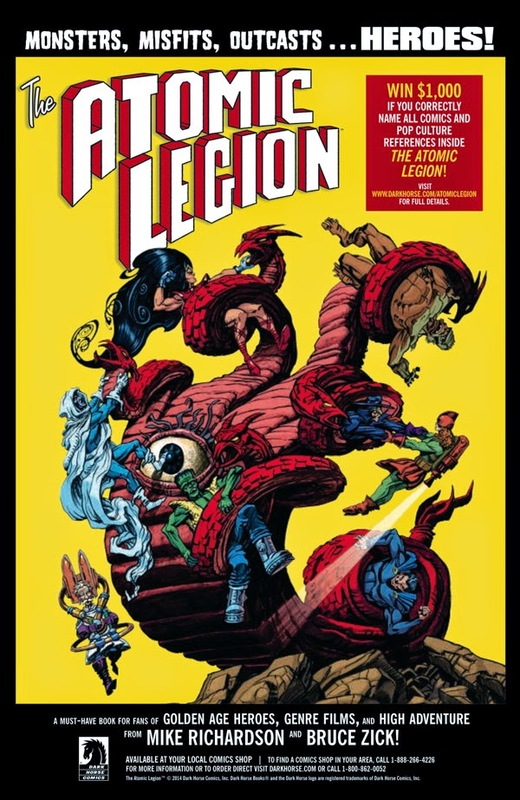 Like teaming up with artist Bruce Zick for new books like Atomic Legion. The new work gives him the chance to offer readers the chance to get so much more than just top-notch writing and art. For one savvy reader who can catch the subtle nods contained within this original graphic novel, Mike Richardson is offering a $1,000 cash prize. Not only that, but he’ll also award the local comic shop of your choice $1,000 worth of Dark Horse comics and graphic novels. atomiclegion@darkhorse.com with your list of the story’s pop culture and science fiction references, and a picture of yourself with the book, before May 31. The first person to correctly identify the most references will be awarded the cash prize. FOR IMMEDIATE RELEASE: MILWAUKIE, OR —Mike Richardson, Dark Horse founder and writer of the Eisner-nominated 47 Ronin and Star Wars: Crimson Empire, teams with artist Bruce Zick (Mandala, Thor) to take readers on a fun new thrill ride laden with pop culture and science fiction references!